Manual Lymphatic Drainage (MLD) is a gentle non-invasive technique which improves the action of the lymphatic system. Lymphatic vessels form a dense network around the body and most of the capillaries which drain the body’s tissues, laying just under the skin and surrounding important body organs. The manual lymphatic drainage technique, employs gentle rhythmical movements which stimulate the contraction of the lymphatic vessels. The treatment is incredibly useful when treating ligament, tendon and muscle injuries or during rehabilitation after surgery. Patients suffering from chronic fatigue syndrome and fibromyalgia seem to respond well to lymphatic drainage massage. Muscle tension and contracture knots lose their vicious cycle when the lymphatic drainage to the area is restored. Skin conditions such as acne and eczema as well as stretch marks and scarring can be improved and the technique is widely employed following cosmetic surgery. MLD is often necessary for patients who have had lymph glands damaged or removed during surgery. Surgeons often refer patients to us for Manual Lymphatic Drainage following surgical procedures and liposuction. The relaxing nature of the technique makes it suitable for those who suffer from tension and stress. By law, anybody using the name Osteopath has to be registered with the General Osteopathic Council (GOsC) to practice in the UK. Osteopaths work to restore your body to a state of balance, where possible without the use of drugs or surgery. Osteopaths use touch, physical manipulation, stretching and massage to increase the mobility of joints, to relieve muscle tension, to enhance the blood and nerve supply to tissues, and to help your body’s own healing mechanisms. They may also provide advice on posture and exercise to aid recovery, promote health and prevent symptoms recurring. Osteopaths’ patients include; the young, older people, manual workers, office professionals, pregnant women, children and sports people. Patients seek treatment for a wide variety of conditions, including back pain, repetitive strain injury, changes to posture in pregnancy, postural problems caused by driving or work strain, the pain of arthritis and sports injuries. Training courses which are recognised by the GOsC, are of degree level and take about four or five years to complete. ( BSc Hons, BOst or BOstMed) or a masters degree (MOst). Osteopathy courses can be full or part time and there are also courses with accelerated pathways for doctors and physiotherapists. The Osteopathy degree course includes; anatomy, physiology, pathology, pharmacology, nutrition and biomechanics, plus at least 1,000 hours of clinical training. 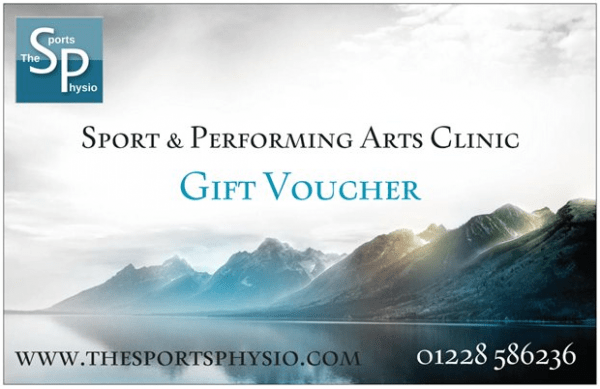 Deep tissue treatments at The Sport & Performing Arts Injury Clinic are comprehensive, concentrating on the joints as well as soft tissues of the body. Sports Massage is simply deep tissue manipulation of muscles and other soft tissues particularly aimed at sports people but can be suitable for anybody. Tight muscle sin the lower leg will lead to reduced flexibility in the foot. Whatever term you wish to apply; sports massage, deep tissue massage, remedial massage, the techniques remain the same, although the aims and outcomes of the treatment may differ. Sports massage applied correctly, should not be painful and must certainly not leave the patient bruised. However, the treatment is designed to affect the deeper tissues of the body. Deep tissue treatments can be used as part of an injury rehabilitation process but they are also great as a general overhaul. Various techniques, including myofascial release and joint mobilisations ensure a comprehensive approach to treatment. Circulation to the muscles, tendons and fascia are improved which also aids lymphatic flow. Muscle tension is eased, helping joints to decompress, improving movement range and reducing the load on articular cartilage. Any scar tissue from injuries, sprains and strains can be re-modeled to allow greater flexibility and reduce the risk of re-injury. Nerve endings can be calmed in cases of irritation from injury and medical conditions or they can be stimulated if they have been damaged by injury or surgery. Anybody can benefit from manual deep tissue treatments, whether you are a sports person, dancer, manual worker or have to sit at a computer desk all day.